2. Paste into Column A the email addresses to whom you will be sending your message. 3. Save the document as an Excel Spreadsheet. 4. Open a new Microsoft Word document. 5. Begin drafting the message you would like to send out to the recipients in your list. Note: If you already have a signature setup in Outlook to append to new messages, then you will not need to add your signature to this drafted letter. 6. Once the letter is drafted, click on the “Mailings” tab in Microsoft Word. Select your list in the “To:” (there should be only one option to pick from). You can also add a Subject to the email in the “Subject Line" field. 7. Select “OK” once the “To:” and “Subject Line:” fields are completed. 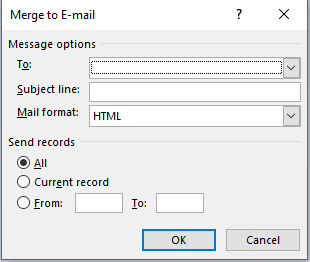 Leave both Word and Outlook open while the Mail Merge is completing. 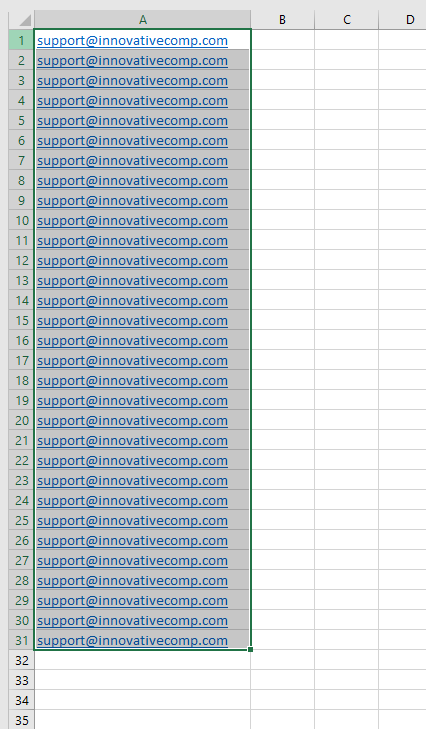 Note: People who are on the Recipients list will only see their name in the “To:” field of the email they receive. Check out more of our IT Tips on our Resources page.